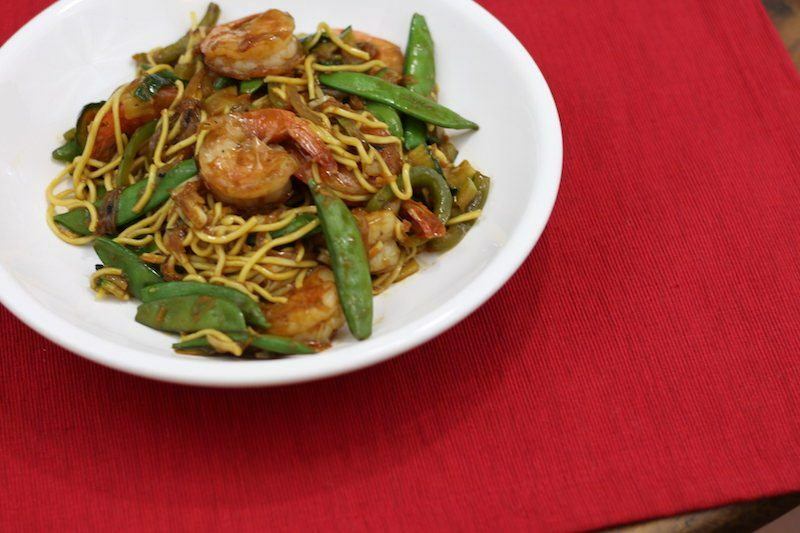 Asian style cooking seems to lend itself to easy, quick meals. 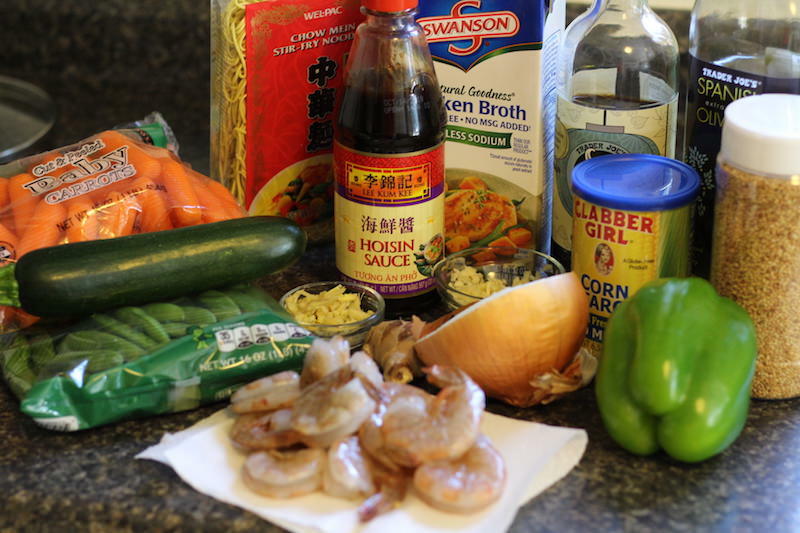 Even with all the veggie prep involved in creating this stir fry, the Asian zucchini noodle stir-fry with shrimp from Just A Taste only took 35 minutes total from prep to plate. 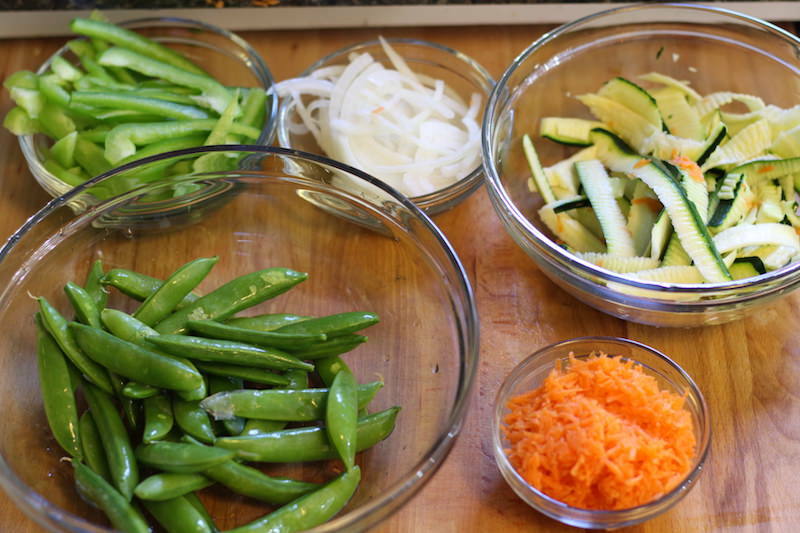 You can probably shave off a few minutes by choosing veggies that don't need preparation. The shredded carrots took a little longer to prepare than others, and also take longer to cook depending on how soft you want them. Note: I also don't own a spiralizer, so couldn't make noodles out of the zucchini. I tried using a peeler to make strips, but that failed pretty hard. I still included the zuke in the dish for authenticity to the recipe, but also added some chow mein style noodles so it looked like an actual noodle recipe instead of just stir fried veggies. Lots of ingredients to collect and prep! I didn't have a red onion on hand so I just used a white one. I also started some noodles boiling because I had a suspicion that the zucchini was not going to turn out as beautiful as it did in the original recipe. Oops! I got distracted and overcooked the noodles. They were already past done, and I still had to cook them again in with the sauce mixture, so I discarded these and prepped another batch. 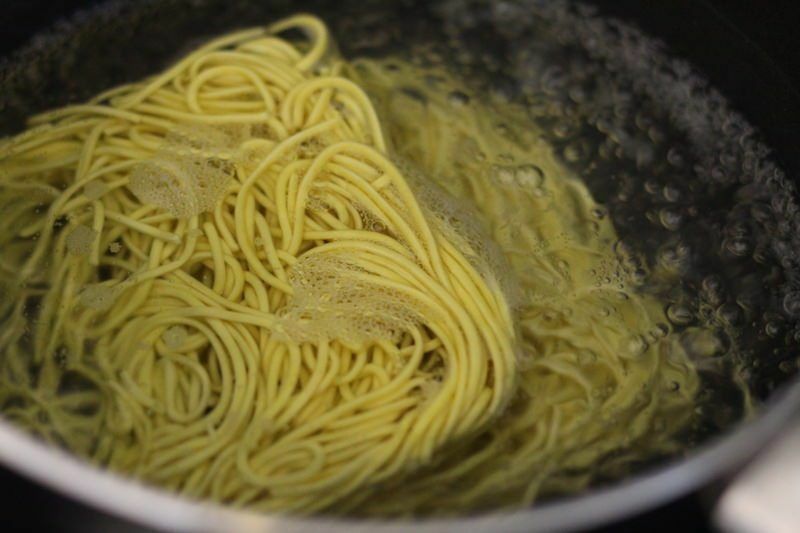 The photo below is an example of what NOT to cook your noodles like! They'll turn out like a pile of mush in your stir fry. 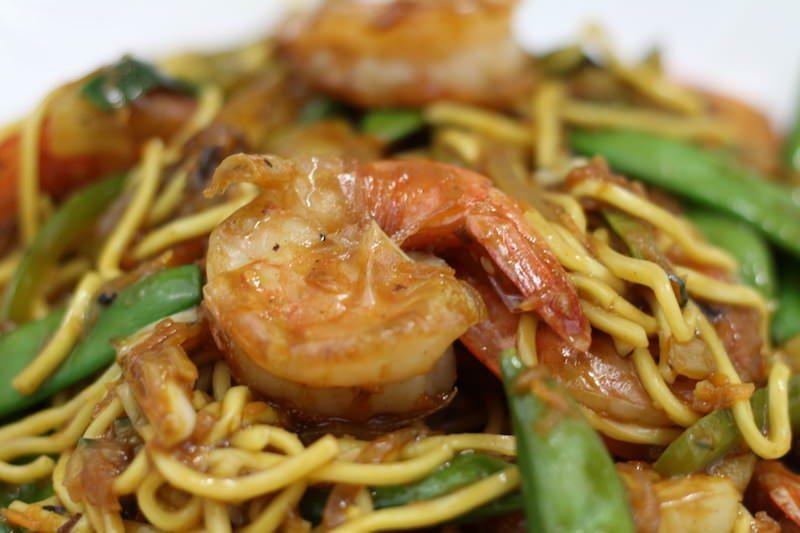 Here's a better example of noodles to use for your stir fry. 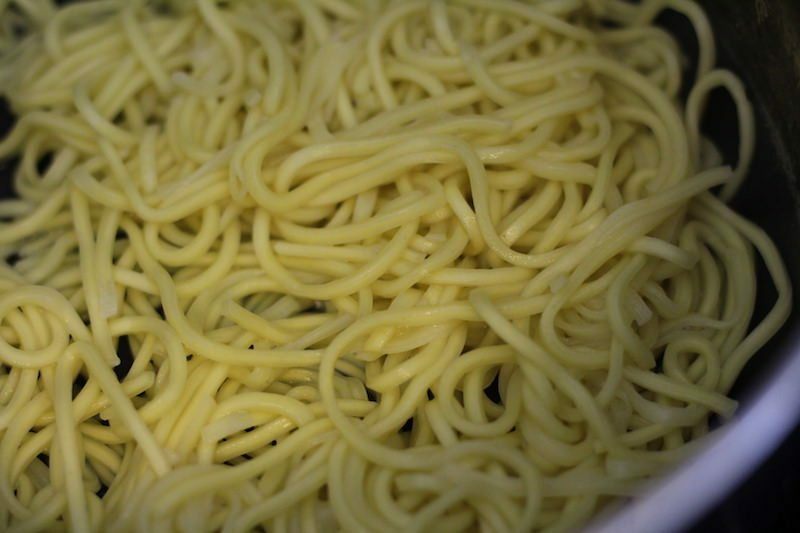 They are almost done – a little “al dente”, if you can use that phrase for Asian noodles instead of Italian ones. 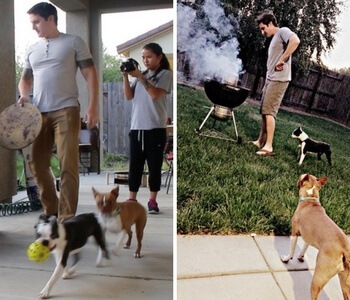 They'll continue to cook for a few minutes once mixed in the sauce. 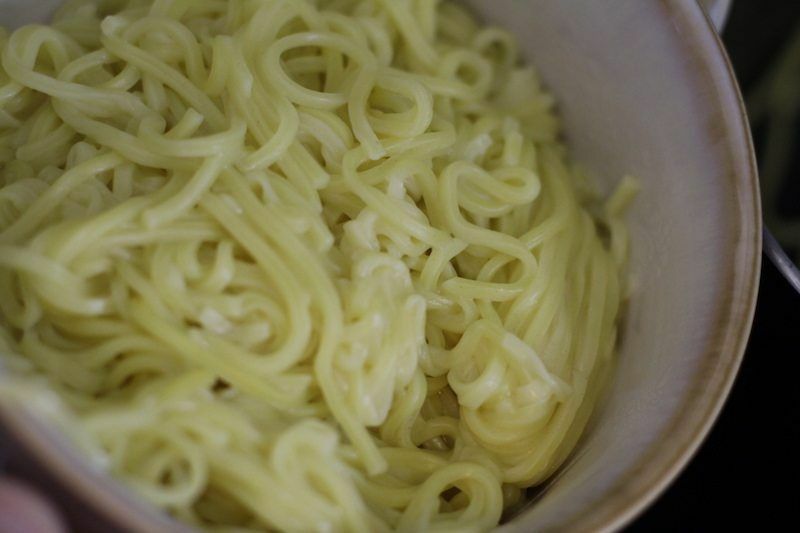 While the noodles are cooking you can prep your sauce. Corn starch is the “secret” ingredient in a lot of Chinese recipes that thickens the sauce to make a nice glaze that coats everything. Time to cut the veggies! This is where most of the prep time comes in. Notice I grated the carrots here. The instructions said to “shred” the carrots. I think “thinly slice” might have been a better term since the grated (what I consider shredded) version simply mushed up into the mix and you couldn't really taste them in the final product. 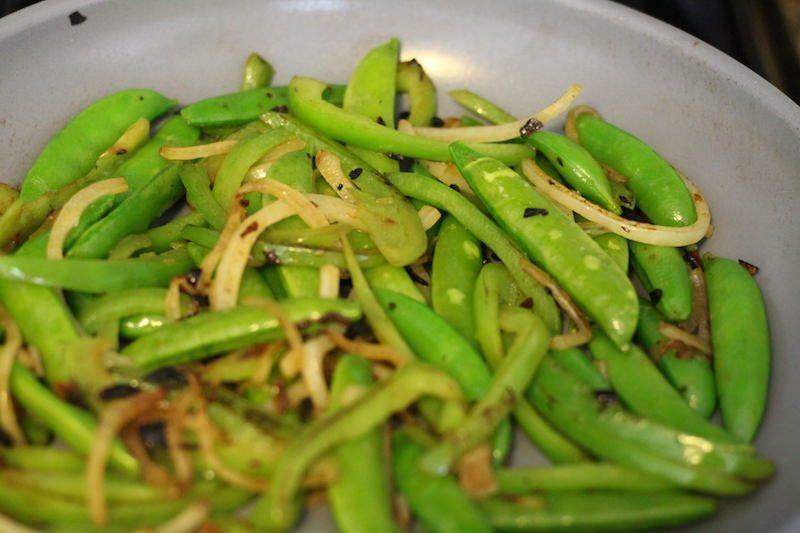 The snow peas were awesome! 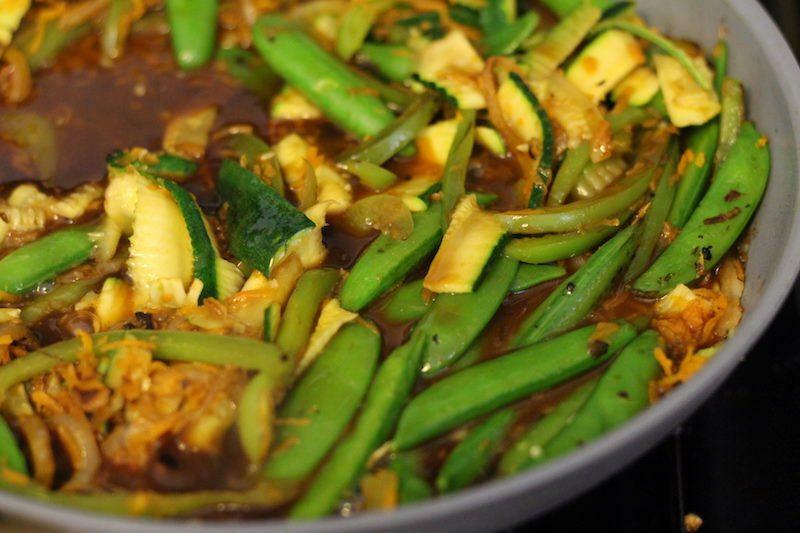 After adding the sauce your veggies will continue to cook and absorb flavor for a few minutes. 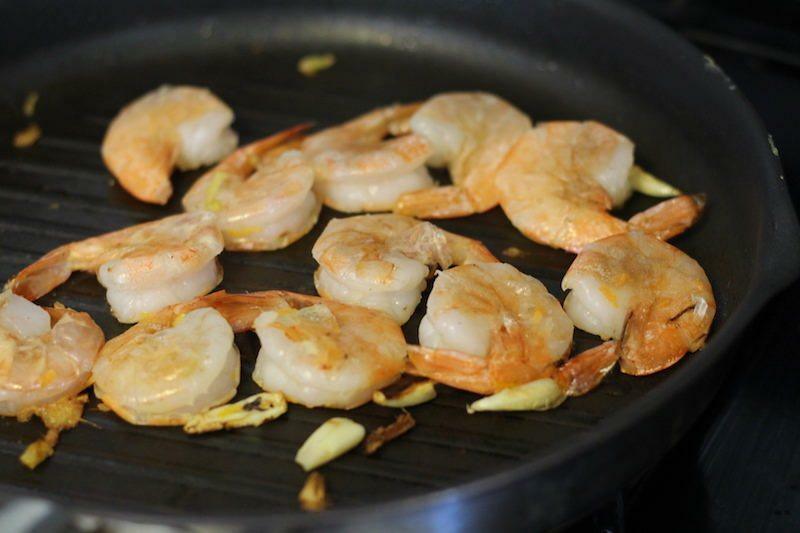 While that's happening you can cook your shrimp. Just use some ginger, garlic, salt, and pepper. Nothing fancy! 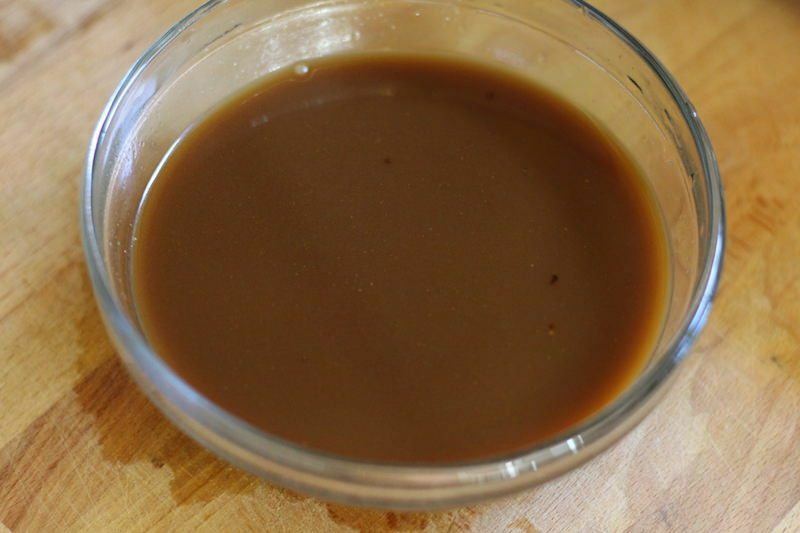 For an authentic Chinese flavor use peanut oil instead of whatever else you usually use. Mix everything together, and voilà! 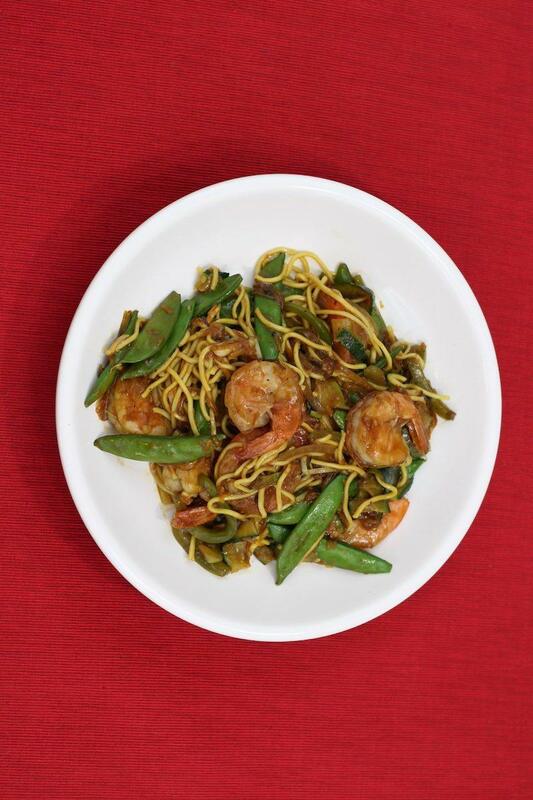 You've got a tasty, shrimp and noodle stir fry. 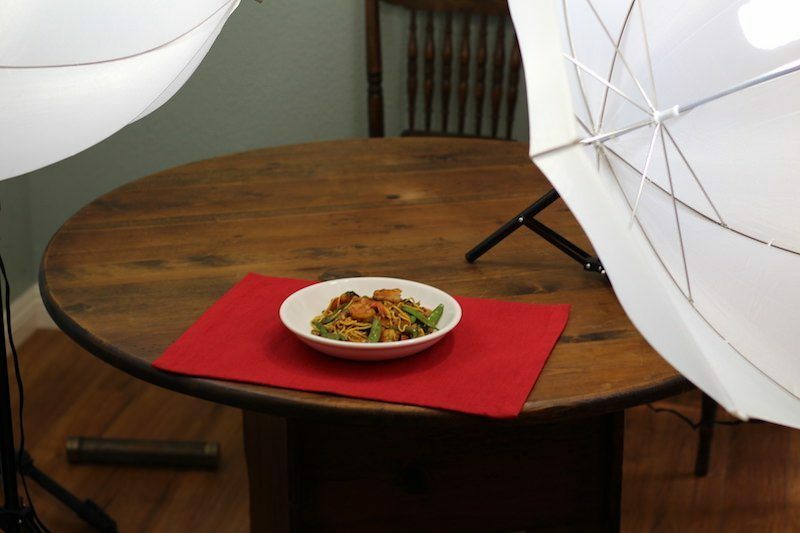 Just wanted to give you guys a brief look at my photography setup. With the lights on, it looks like this photo was taken at night, but it was actually mid-day in bright daylight!